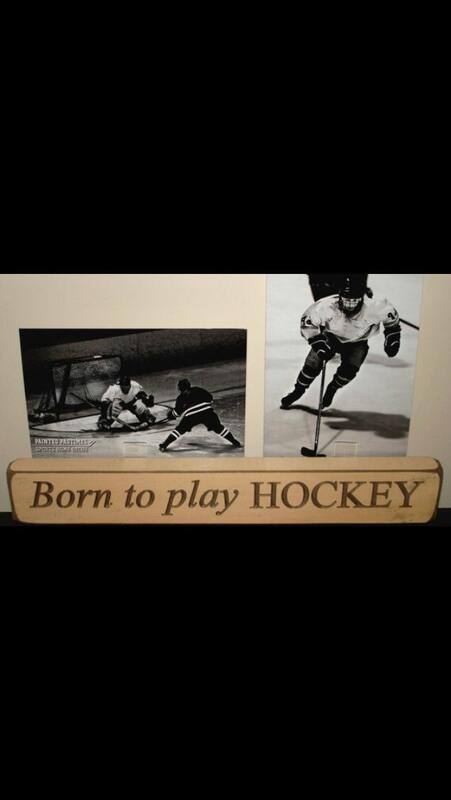 "Born to play HOCKEY" Photo/Sign - Perfect for displaying hockey photos and adds a great conversation piece to any room. 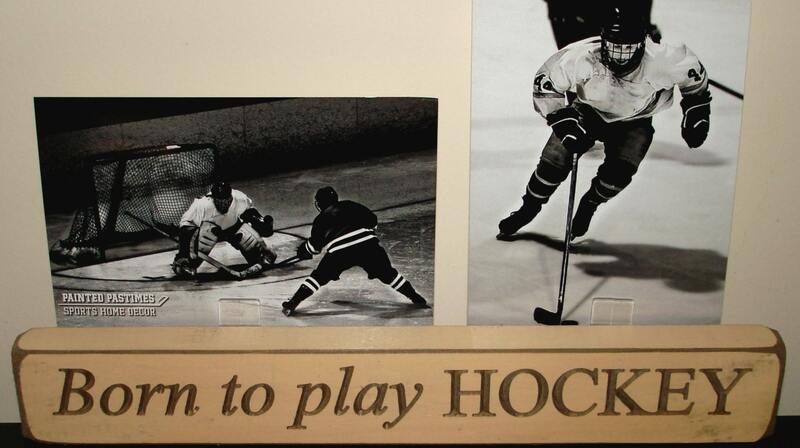 Makes a great gift... especially for that hockey nursery! Just replace our photos with yours. Shown holding two 4" x 6" photos. Carved wood sign painted cream and stained to give it a beautiful antiqued look. 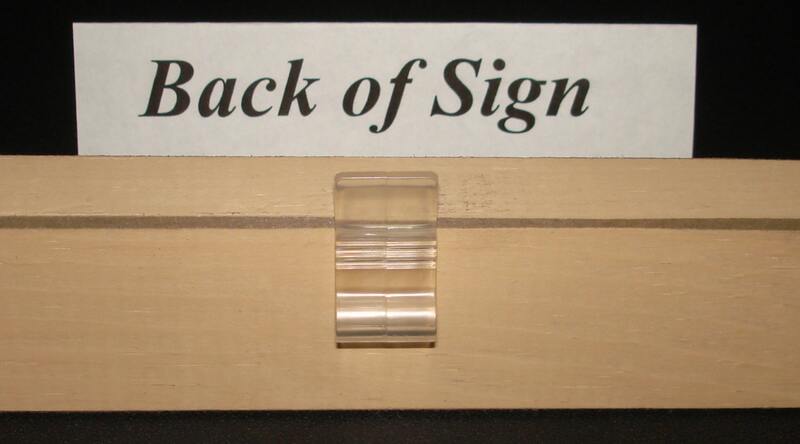 Size: 1.75" x 12" Place on a desk, table, shelf dresser or just about anywhere. 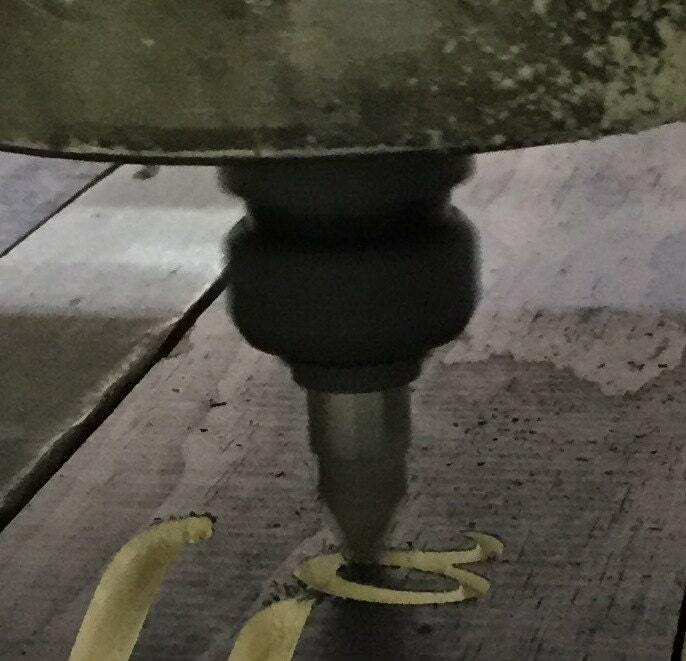 You will love the quality of these items!